Bristol is an amazing, vibrant city, with lots of history and culture. It also offers a wealth of colourful entertainment options all year round. 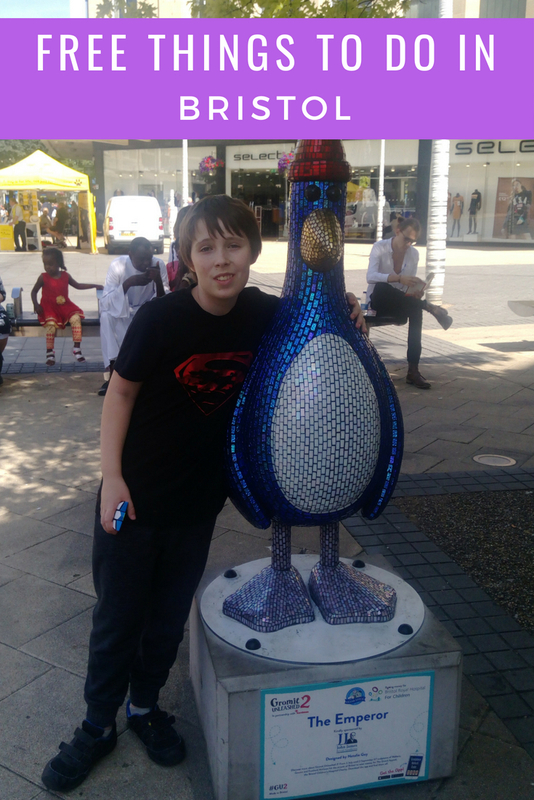 From festivals, to amazing street art, including this year's Gromit Unleashed 2 trail, there really is something for everyone. It's easy for the costs to add up though, when you suddenly have children to amuse all day. 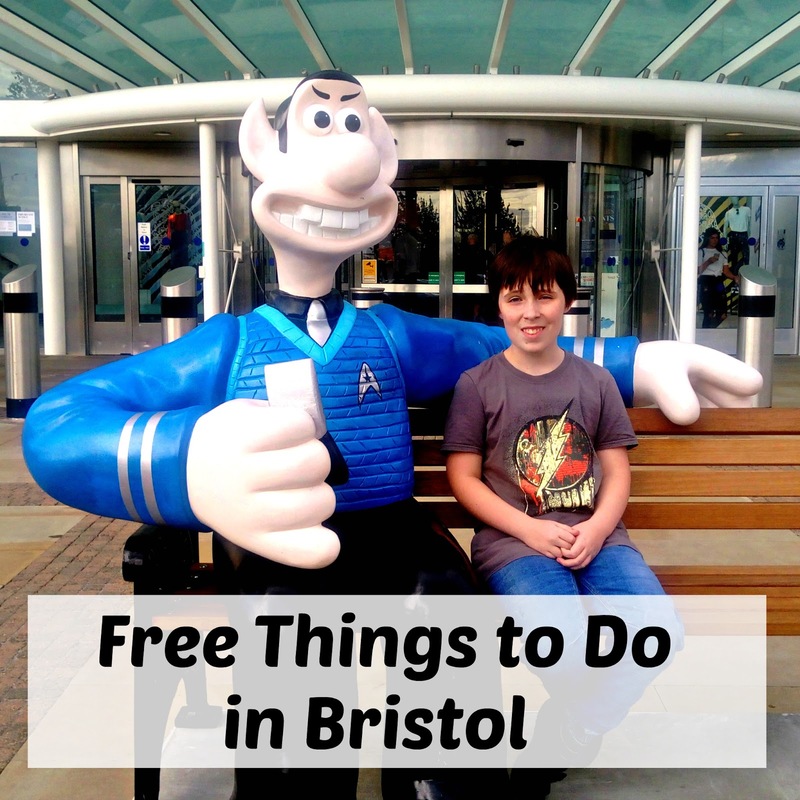 If you are wondering how you are going to entertain the kids on a budget this summer, here is a round up of all of our favourite free things to do in the city, keeping the costs down, without skimping on the fun! The Gromit Unleashed 2 trail is a celebration of local film makers Aardman Animations, who are responsible for some of our favourite stop-motion films, such as Chicken Run, The Curse of the Were Rabbit and Early Man, as well as the Wallace and Gromit animations. There are over 67 individual sculptures of some of the most popular characters from the Wallace and Gromit animations, all featuring fun and colourful unique designs. 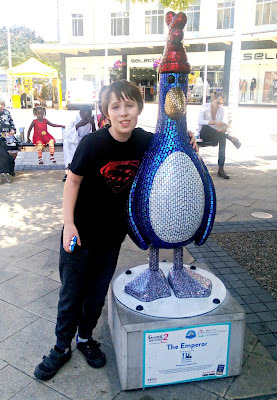 Gromit Unleashed 2 supports The Grand Appeal, which raises much-needed funds for Bristol Children's Hospital and the Neo-Natal Intensive Care Unit. The Grand Appeal website has all the information you need, including all the locations, as well as how to complete the trail by bus. The place we love to be in the summer is Millenium Square, which is accessible by bus, or there is an underground car park. For sat nav purposes, the address is; Explore Ln, Bristol BS1 5SZ. 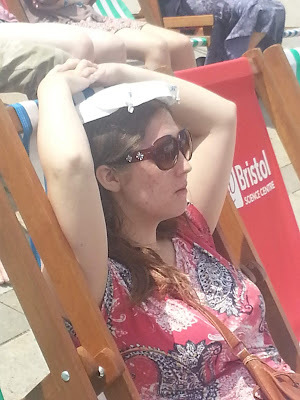 Millennium Square is home to a sea of deck chairs, as well as a big screen, offering the perfect place to relax and take the weight off your feet during a visit to the city. Millennium Square is also host to a really fun splash zone, making it ideal for the children to cool off, while you relax in the sun. 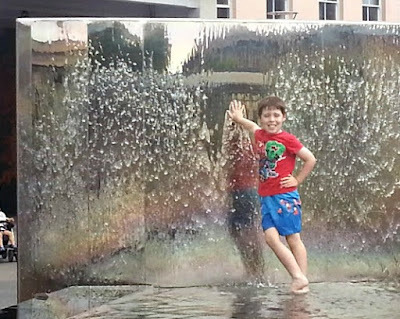 The different water features, including this water wall, are a great source of entertainment for youngsters of all ages and we have spent entire days there before now, with a picnic. If you head towards the harbour, and cross Pero's Bridge, which is distinguished by some fairly impressive horns (nope, I have no idea either! ), turn right and walk to the next bridge, then cross that (it sounds really far, but it's about a ten minute walk) you will come to M Shed, which is a really fun, interactive museum, featuring a full size vintage bus, which you can climb aboard, as well as a bomb shelter and all kinds of other exciting, hands-on exhibits. It offers a fascinating walk through Bristol's past and you will probably be surprised at how much you didn't know about our fair city. 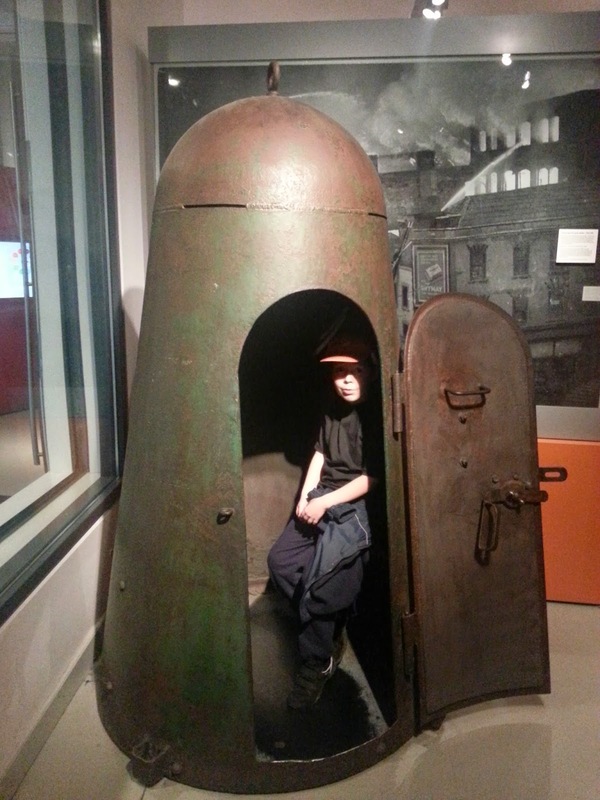 It's totally free to enter, but donations are always very welcome and there are often additional exhibits that you can pay to look round too. 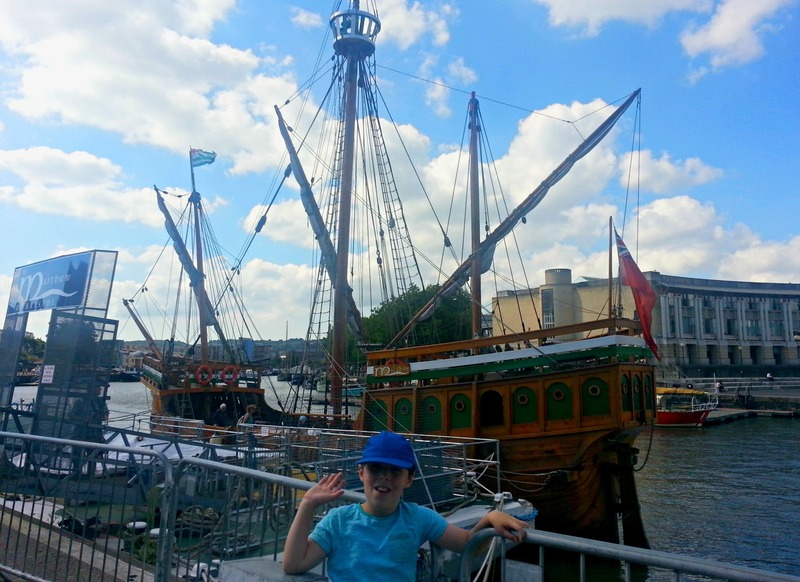 In front of M Shed, you will find The Matthew, which is a perfect replica of the Caravel ship that transported the explorer John Cabot to Botswana in 1497. Steeped in history, it is absolutely fascinating to walk around, every detail is authentic to the original ship and the guides are on hand to tell you all about it. The Matthew is free to look around, or you can sail on it, around the harbour or further afield, for a pretty reasonable price. Check out The Matthew website for more information. Again, donations towards the ship's upkeep are much appreciated. 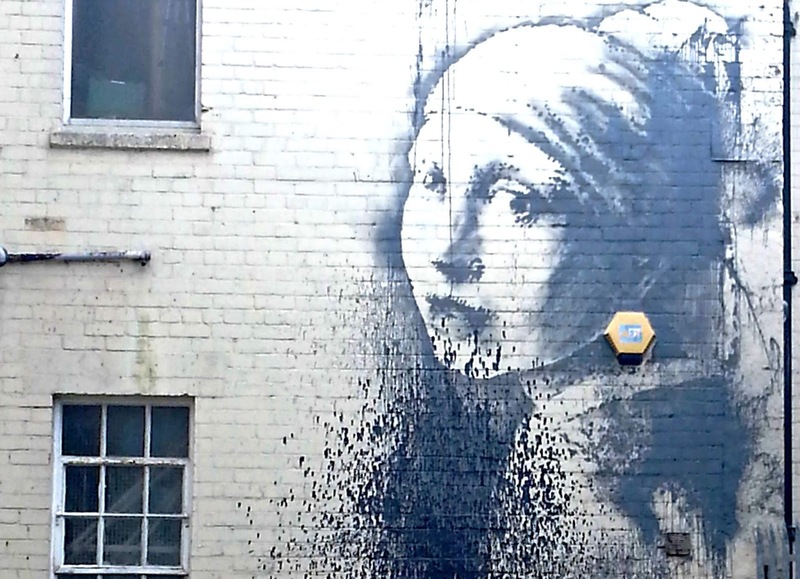 Bristol is famous for its colourful street art and most famous of all, of course, is our very own Banksy. His wall works can be found throughout the city, and if you find Bristol in Google Maps, then search 'Banksy' you can see all their locations. The nearest one to The Matthew is Girl with a Pierced Ear Drum. To find it from M Shed, head back to the last bridge you crossed, and turn right, instead of left onto the bridge. Follow the road round to the right onto Cumberland Road and walk for about ten minutes until you reach Hanover Place, which is a left turn. The painting is straight ahead, high on a wall in the Albion Dockyard. This photo was taken in 2014, not long after the art was created, and unfortunately it had already been vandalised, but has since been restored. If you have adventurous toddlers to entertain, you can register for the free Forest Discovery Day at Clifton College , where little ones can build a secret den, toast marshmallows or enjoy playing in the mud kitchen, all in the beautiful surroundings of Abbots Leigh, just over the suspension bridge in Clifton. Refreshments are included and the event starts at 9am on Saturday 8th September. 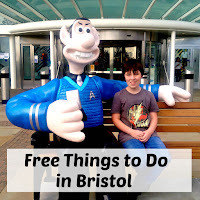 I hope you've enjoyed exploring Bristol with us and you get a chance to visit some of these great attractions over the summer. We'd love to hear how you got on!